An elegant, adaptable cake. Ideal for special birthdays, Mother’s Day, anniversaries, thank yous…. the list is endless! 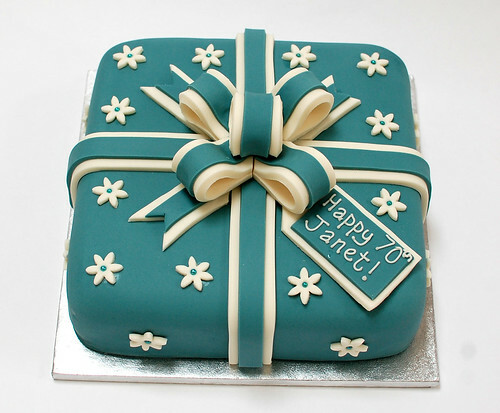 The Duck Egg Present Cake – from £65.